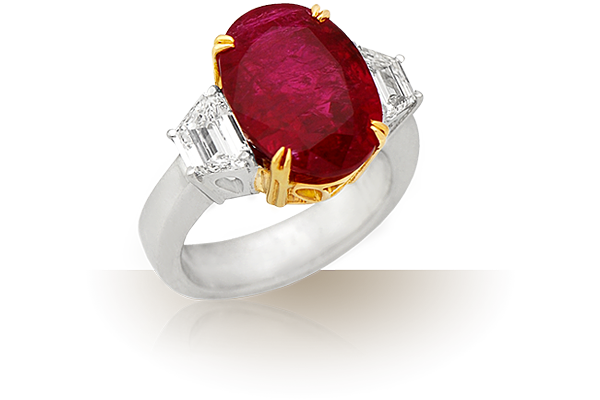 A Deep bright Red, the word carmine is derived from the Medieval Latin word Carminium and it has been used for thousand of years by different civilizations. 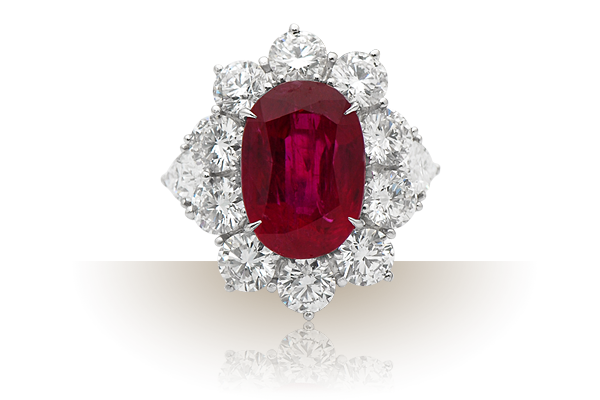 It first appeared at the Mesopotamian Kingdom of the Sumerians and then used by the ancient Egyptians, Greeks and in the Middle East for splendid red lacquer decorations. 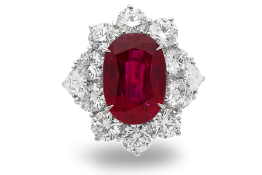 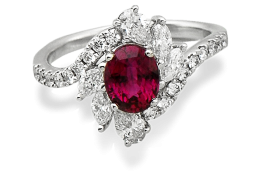 The Carmine collection is a masterpiece of timeless designs that combine deep red Burmese rubies with dazzling diamonds. 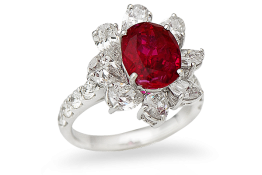 Style and elegance characterise each piece of the collection.